We had such a great time at our farewell to summer trip up to Bear Lake on the border of Utah and Idaho. 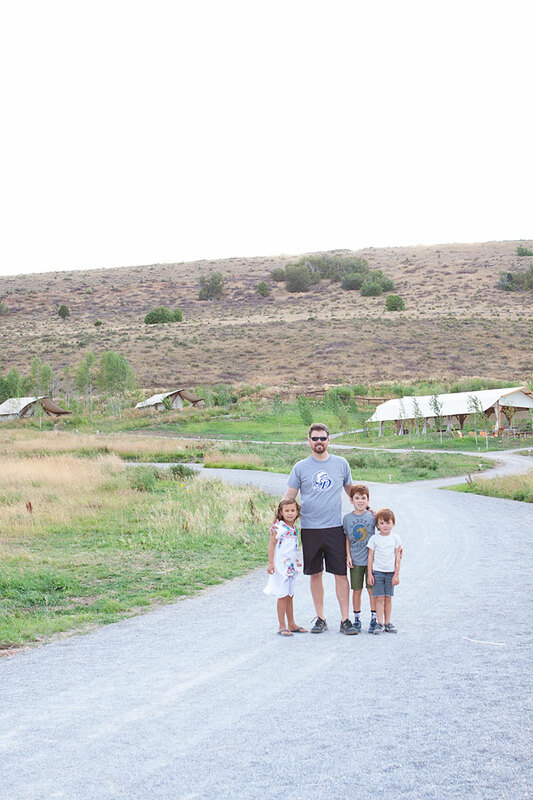 We loved doing a little camping, or should I say glamping at Bear Lake’s Conestoga Ranch Glamping Resort. Bear Lake is such a gem, and has the most gorgeous views! If you haven’t been there, I’d strongly recommend it! It is one of our favorite places to go as a family! 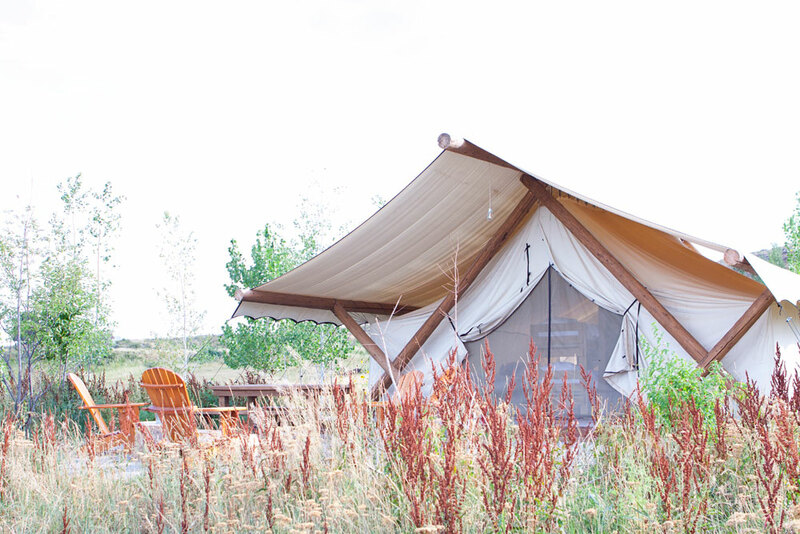 The first night of our stay, we stayed in one of the grand tents (the Olympus Tent) at Conestoga Ranch. It had two sets of bunkbeds, and two twin beds and a queen sized bed! The tents really are so amazing. 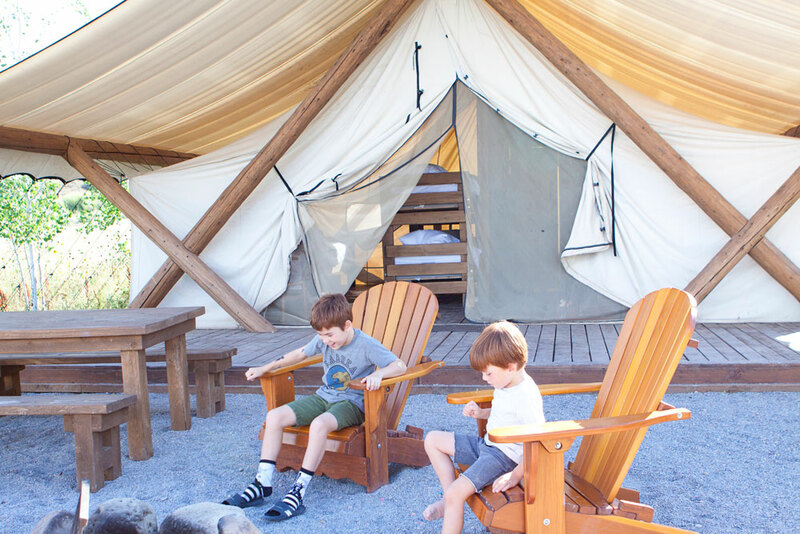 You definitely get a feel for camping, but also get a the experience of a Resort. 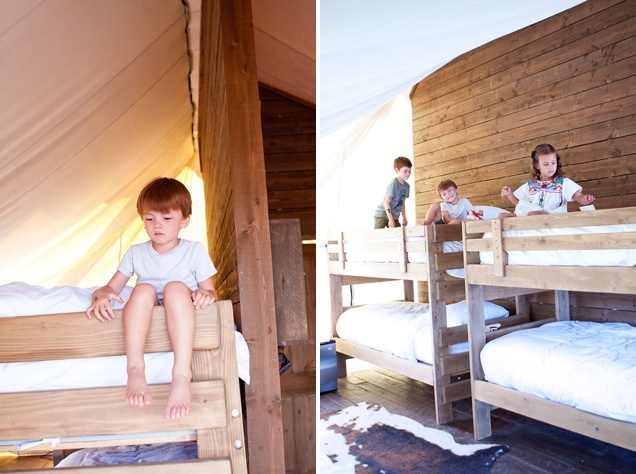 The grand tents feel large inside, and have an area for the bunk beds, and an area for the large bed, and a full bathroom! 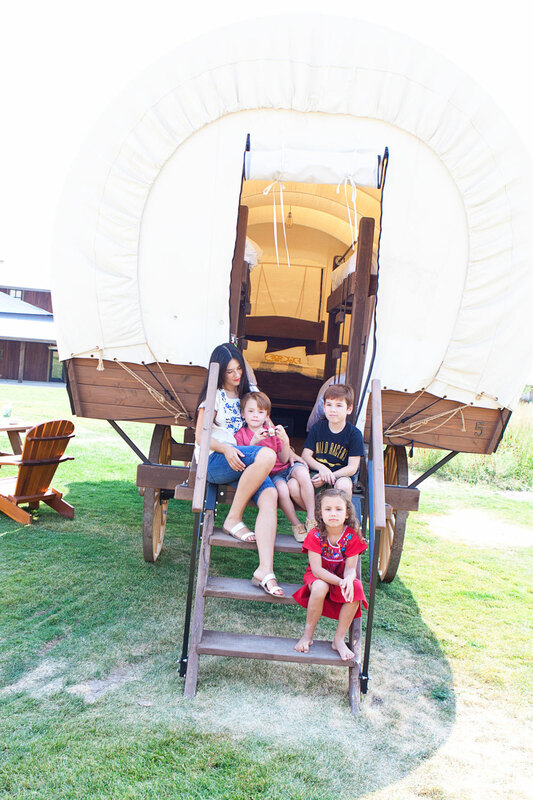 The second night we stayed in one of their unique covered wagons, and the kids absolutely loved it! It was a dream come true for them! 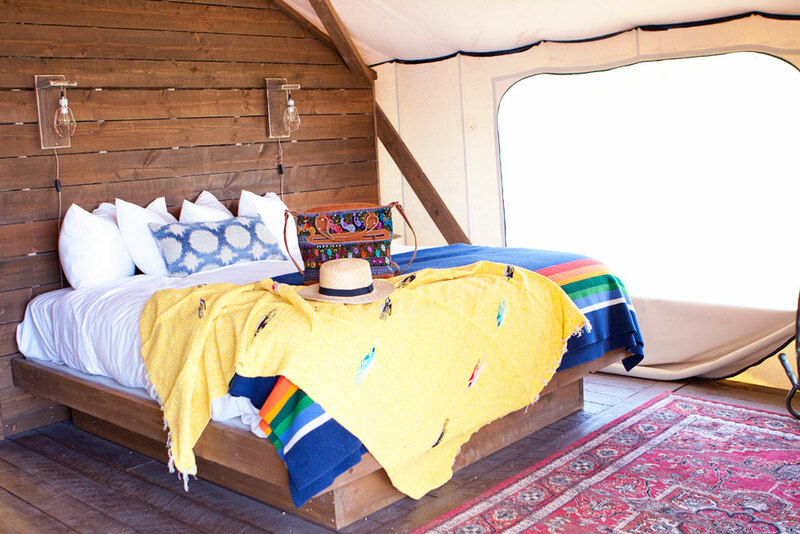 I’ll be sure to list everything you need to go before you go Glamping at Conestoga Ranch below! Conestoga Ranch is located in Garden City, Utah. The Ranch is open Mid May, and closes the first of October. You can get great rates on the Ranch in the early and late season! 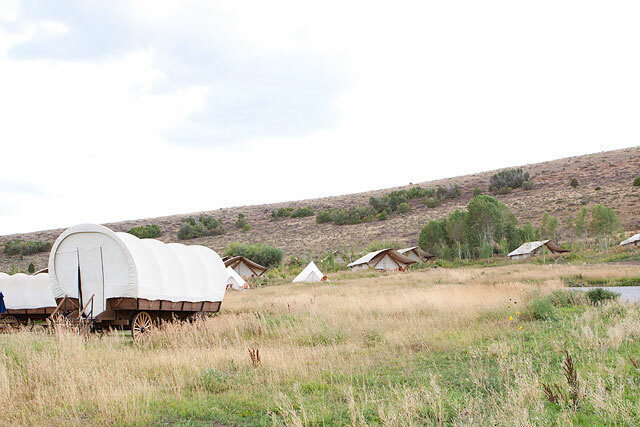 The price to stay at the ranch varies depending on if you want to stay in a wagon, a traditional tent, or which grand tent you’d like. 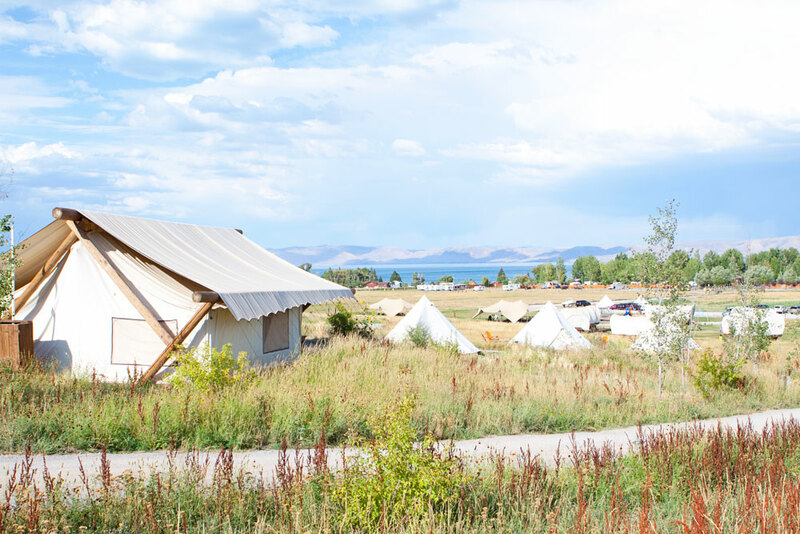 The pricing may seem high for something at Bear Lake, but once you go and stay, you realize it is more like a resort, and the amenities are amazing! I think it is worth a try and enjoy the overall experience! 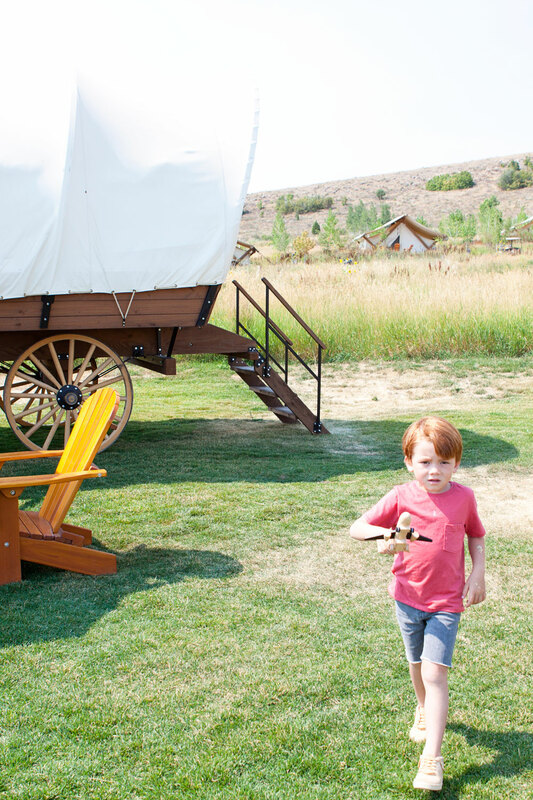 At the Ranch you can park your car by the main building, and they will golf cart you to your tent or wagon. The Ranch has a General Store on site that sells s’more kits, snacks, drinks, and things. I would also suggest to bring a case of your own bottled water and snacks. The Ranch has their own Restaurant on-site called Campfire Grill, and it is amazing food! I did an entire blog post about it, and you can read all about Campfire Grill in my post here. A seriously amazing menu! I couldn’t believe the quality of their food! There is a small grocery store in town, and a some restaurants. We enjoy eating at Cafe Sabor, Zipz, and La Beaus for shakes! You could definitely bring your own food to the ranch in a cooler. They have fire pits to cook your food and saw a lot of Glampers using it. There is also a tent area where you can bring things to cook on their barbecue grills. Yes! There is WIFI and cell phone service at the Ranch. On-site entertainment: Game tent with video games, air hockey, ping pong. They also have corn hole, and their very own cowboy that helps you learn to rope a steer. My kids loved that! There is also volleyball, a playground, and soccer field, and while we were there they even had a fun cowboy singing songs and playing the guitar. My kids really enjoyed meeting other kids, and running around the grounds playing hide and seek, and games. It was really great to let them play, and very safe! The Ranch is perfect for family reunions, week day or weekend getaways, family getaways, girls getaways ( I did this in July and loved it! ), or even a romantic couples getaway! We really loved our time there! The Grand Tents at Conestoga sleep 2-8 people depending on which tent you end up with. Our tent, the Olympus slept 8 people comfortably. 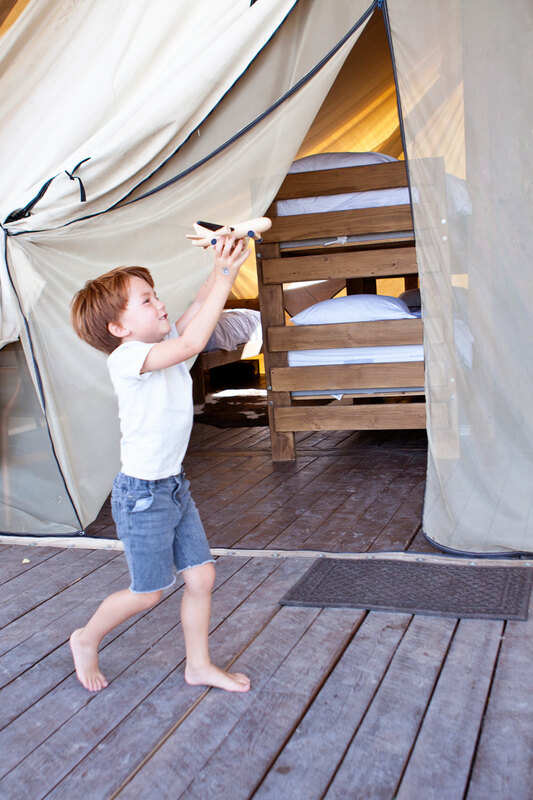 The best part of the the Grand tents is that there is a full bathroom in the tent! There is a wooden wall with a door separating it from the rest of the tent, and they have running water toilets, towels, the best smelling shampoos, and a cute tin tub and sink! 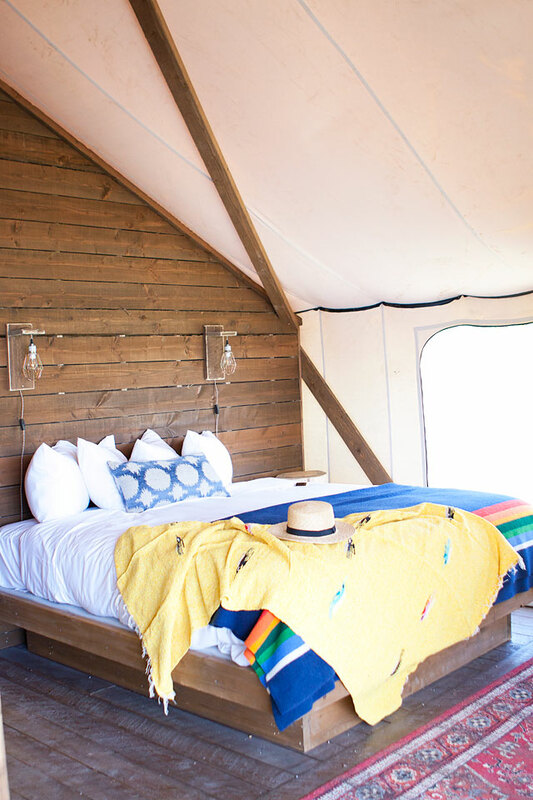 The Grand Tents and all the beds at Conestoga Ranch have all the beds made up with bedding, warm blankets, and linens which makes it really nice to not have to haul up any of your sleeping bags. The grand tents have lights inside and outside that you can flip on. In the grand tent there is an electrical outlet. There is also a fan and a space heater if you are cold or warm. Early and late season nights can be cold, so I would definitely bring warm clothes. We I went in July and August, I was really warm at night. The Grand tents have a mini fridge if you need a few things refrigerated. They also have a small safe to lock up anything you need locked up. The tents and wagons do not lock, they only have zipper, but we never had a problem leaving our belongings inside. The Grand tent we stayed in also had some hooks, and a dresser/wardrobe to store any of our belongings. The Grand tents have their own personal fire pit area outside the tent that the staff of Conestoga will come and light and put out for you, they also give you a s’more kit upon arrival. They have a picnic table, and several chairs around the fire pit area. They also have Traditional Tents as an option that do not have their own bathrooms, but Sleep around 4 people. You can read more about them here. 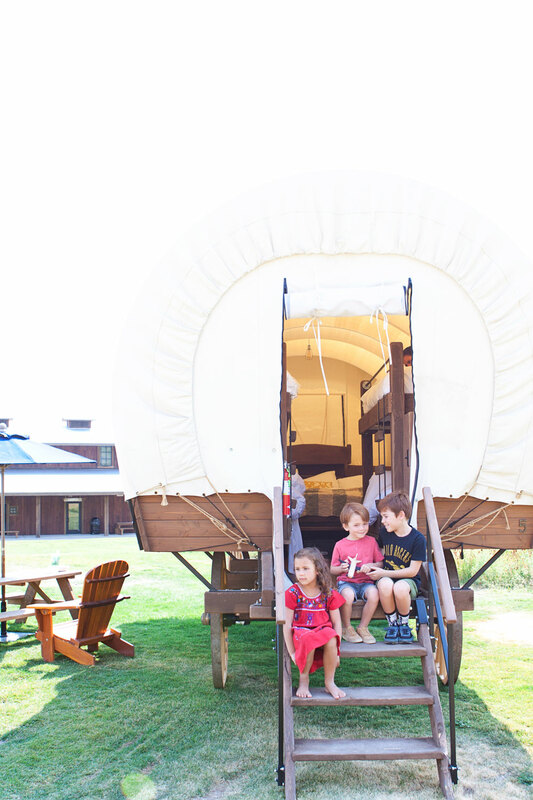 The Covered Wagons have a King sized bed, and two sets of bunk beds inside. They are surprisingly spacious! All of the bed linens and blankets are already on the beds, and they provide towels for showering. The covered wagons don’t have their own bathrooms, but there are rows and rows of very clean bathrooms not far away at the main building. Each bathroom has a nice running water toilets, and showers with amazing smelling soaps, and shampoos. The covered wagons as far as I could see did not have regular electrical outlets, but they did have lighter adapters that you could use to plug in your phone, or you could bring a an adapter that fits into a lighter plug for a regular electric outlet which we did. 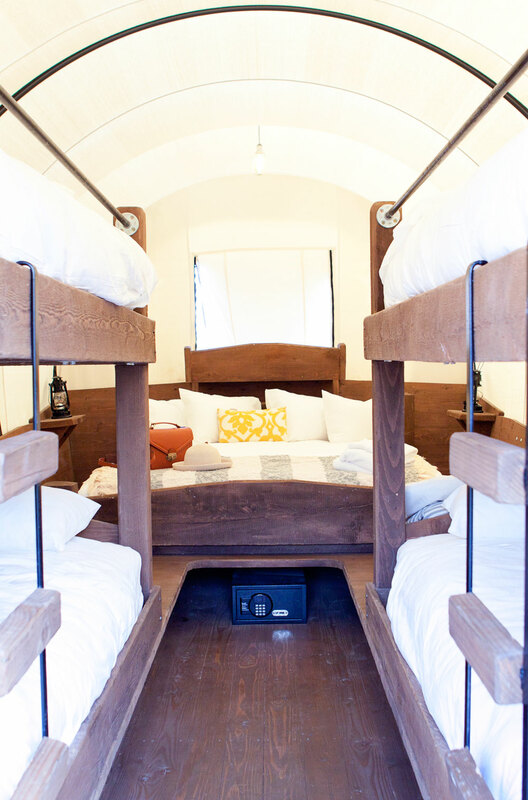 They also have lights and small lamps inside and outside the wagon that you can turn on. 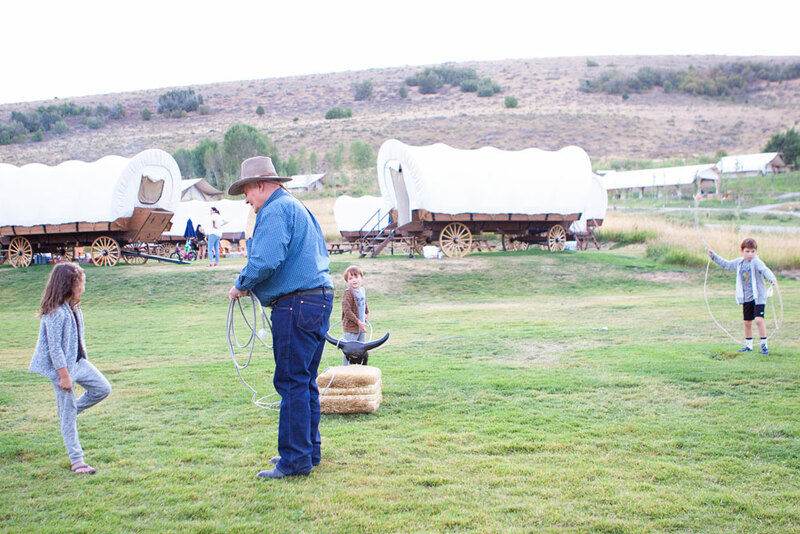 The covered wagon areas do not have your own personal fire pit area, but there is a large fire pit in the center of the covered wagons to use. 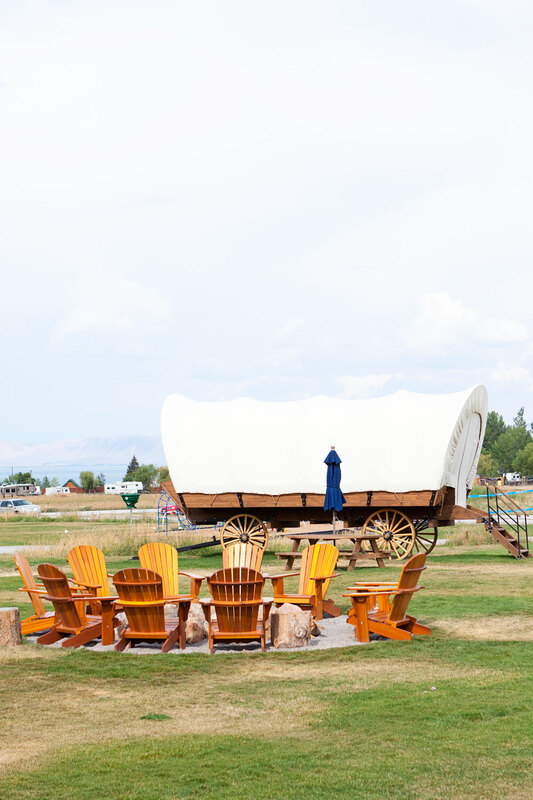 The covered wagons each have their own picnic table outside of the wagon. The wagons are in a circle, which would be really fun for a Family Reunion. I think it would be really fun if you rented out each wagon in the circle, and had the space in the middle to meet up as a family. I know my kids would be in heaven! 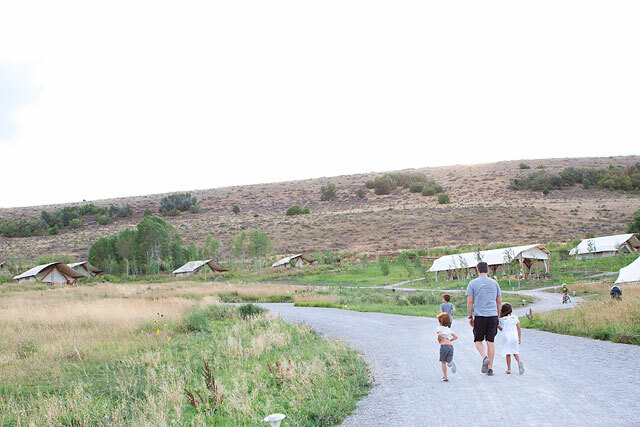 We had such a great time as a family, and I look forward to going back to Conestoga Ranch at Bear Lake and make it a tradition every year! Be sure to check out their website right now for end of season discounts, especially on the weekdays. (It’s up to 50% off regular rates!) 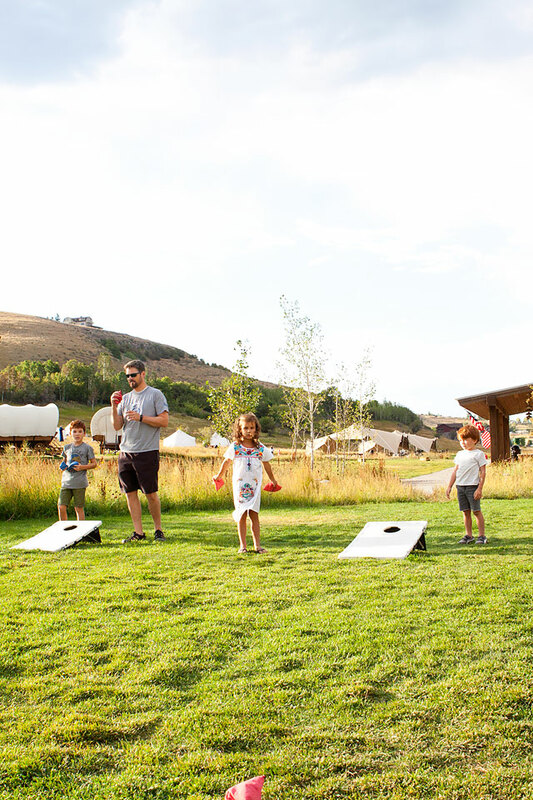 Also, the 2017 is open for pre-reservations, so be sure to book early if you are looking to book for next year for your next family reunion, family glamping session, or getaway! 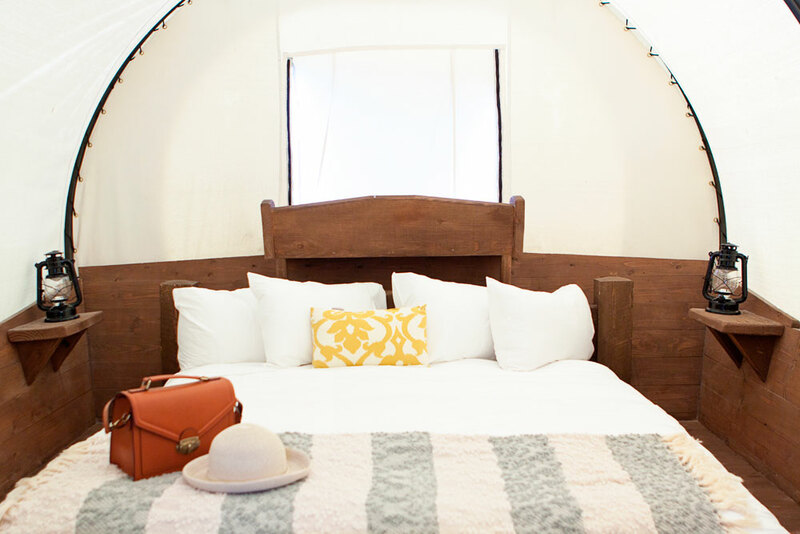 To Reserve a Glamping Spot, you can call 844-Go-Glamp or click here! 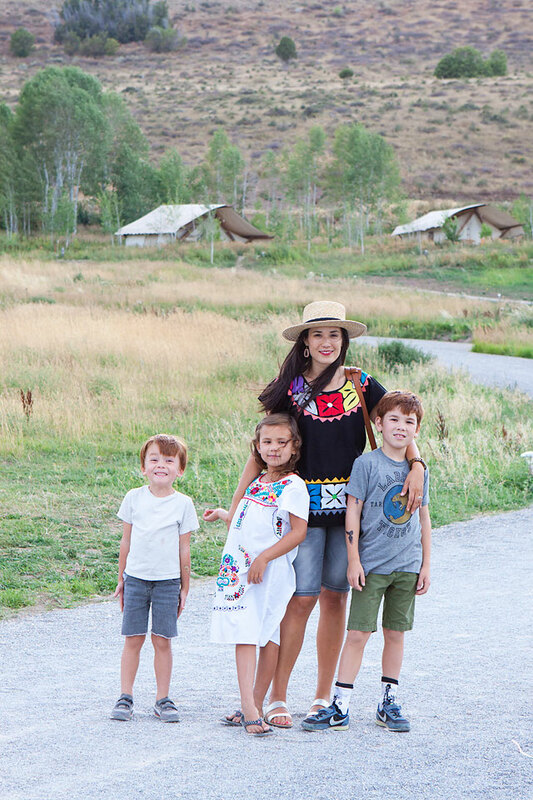 Be sure to check out my other posts on our Family Travel at Bear Lake! Interested in Other Family Travel Posts? Click here! 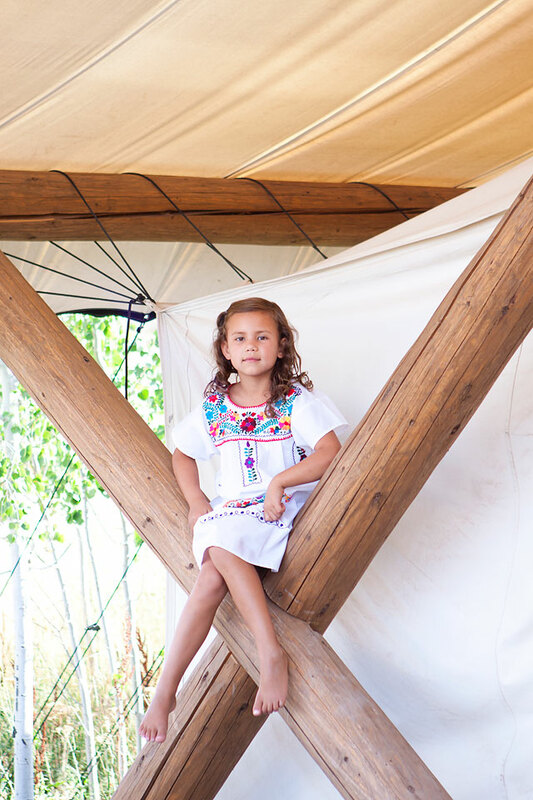 *A special Thank you Conestoga Ranch for a memorable family stay!